Sigmund Freud once said, “Time spent with cats is never wasted,” which is a sentiment our cat attendants tend to agree with. Spending their days caring for the cats and kittens at the Home, it is easy to see how with each passing day our staff grow more familiar with and fond of each and every cat. To mark Caturday we are featuring some of the cats currently up for adoption who have stolen our attendants’ hearts. 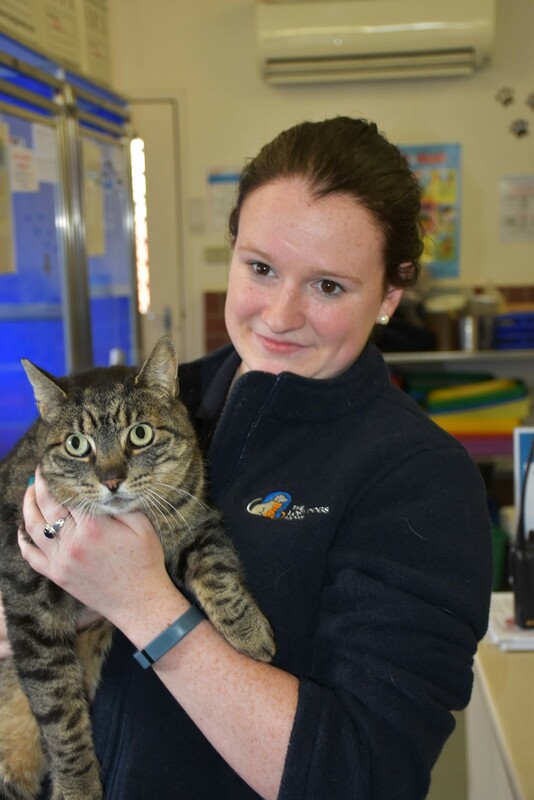 For cat attendant Courtney, it’s seven year old Chester’s inviting and relaxed nature which makes him the ideal family pet. “What I really like about him is how chilled he is and how he is happy to just follow you around or watch you go about your day. “Like his profile says, he is a big beautiful boy with a lovely nature. 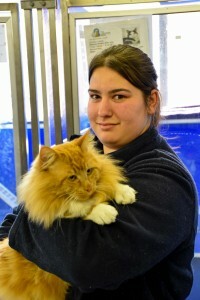 “While he isn’t a super smoochy cat, Chester is still very affectionate. Whether he sits with you and keeps you company or rubs up against your legs, he has a lot of love to give,” explains Courtney. Is your perfect feline match the strong, dependable type? Find out more about Chester by reading his full profile here. Nothing would make cat attendant Vanessa happier than to see her favourite adoption candidate Aurora find her ideal match. 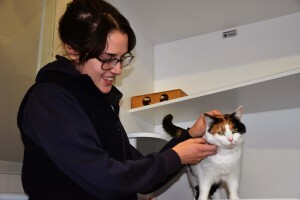 “Aurora has been with us for a while now, and while she takes a bit of time getting to know you, once she is comfortable with you, she will be coming to you for her share of cuddles. “I love how affectionate this girl is and if you are looking for a cat who loves getting your attention, then Aurora is the cat for you,” explains Vanessa. This little princess loves the affection of her nearest and dearest, but she is not a big fan of other cats; so she will need to be the only feline princess in your world. Could you be Aurora’s world? Read her full profile here. Three year-old Cub is a quiet gentleman who loves getting cuddles from his nearest and dearest explains cat attendant Melissa. “Cub is a cool, calm and collected character who is happy taking his time to explore his surroundings and after his adventures he will happily come and spend time relaxing with you. “He would fit in well with a family with older children, especially one which is looking to adopt a cat who is happy to spend time relaxing with the whole family,” said Melissa. Would you like to get cuddles from Cub? Read his full profile here and visit him at our North Melbourne Shelter today!